We often get asked this question as it relates to network and connectivity. As the IoT market continues to accelerate, businesses are looking to 4G LTE for its ability to offer cost efficiency, lower-power requirements and wide-area network solutions to improve and scale their IoT deployments. For certain telematics use cases, established technologies like 4G LTE Cat-1 strike that perfect balance for Mobile IoT. 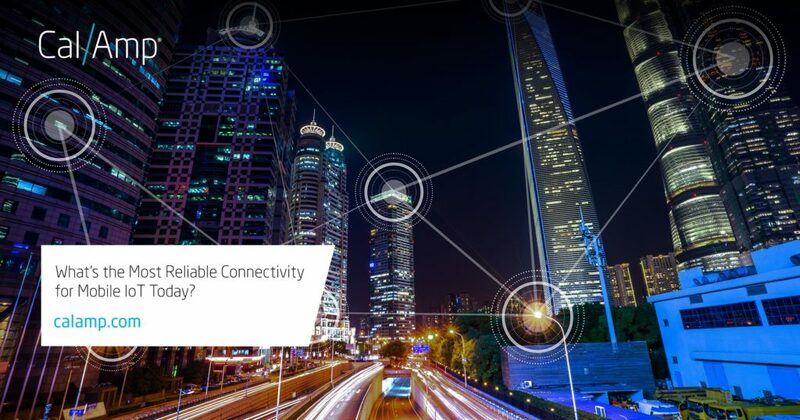 From CalAmp’s perspective, LTE Cat-1 is a network technology that offers the most reliable cellular connectivity option for Mobile IoT applications today. The small footprint, broad area coverage with deep network penetration and cost-effective carrier data plans drives favorable cost structures for operations. LTE Cat-1 was designed to be in-between the high-speed LTE categories which supports smartphones and IoT gateways, and low-speed LTE such as NB-IoT, developed specifically for fixed-asset applications. More importantly, it is proven and the most broadly deployed cellular technology that is enabling our IoT world today. To view highlights of Cat-1 readiness, benefits and general applications, refer to our infographic HERE. CalAmp sees tremendous benefit in 4G LTE Cat-1, especially in coverage, reliability and cost efficiencies for these and other IoT use cases. Looking ahead, we are keeping pace with LTE Cat-M development, yet it is still too early in the carrier deployment phase to be certain when network readiness for mobility applications will be available. However, we anticipate a 2019 timeframe for when the technology will be ready for full deployment. What we are seeing in the market today is that the Cat-M technology will be the future for Mobile IoT, but getting there will take time and numerous amount of testing to ensure a seamless transition between the multiple network technologies for assets that are continuously moving. To find out more about how CalAmp is supporting IoT with Cat-1, check out our blog [Harnessing the Full-Benefits of LTE].